Aerobic endurance exercise has traditionally been advocated in the treatment of type 2 diabetes, while the potential role of resistance training has often been overlooked. 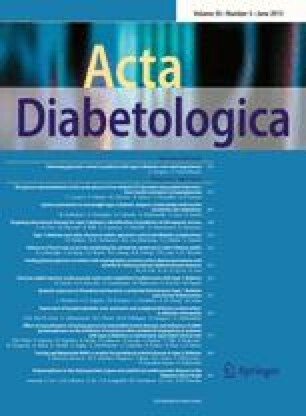 The aim of the present study was to determine the effect of circuit-type resistance training on blood pressure, lipids and long-term glycaemic control (HbA1c) in type 2 diabetic subjects. Thirty-eight type 2 diabetic subjects were enrolled in the study; 18 participated in a 5-month individualized progressive resistance training programme (moderate intensity, high volume) twice a week, while the remaining 20 served as controls. The exercise group showed improvements in total cholesterol (6.0±.3 vs 5.3±.3 mM; P<0.01), low density lipoprotein (LDL)-cholesterol (3.90±.22 vs 3.35±.21 mM; P<0.01) and triglycerides (1.91±.25 vs 1.53±.22 mM; P<0.01). Also, the difference in the change in HbA1c between the groups (0.5%) achieved statistical significance (P<0.01). Circuit-type resistance training seems to be feasible in moderately obese, sedentary type 2 diabetic subjects and the inclusion of circuit-type resistance training in exercise training programmes for type 2 diabetic subjects seems appropriate.